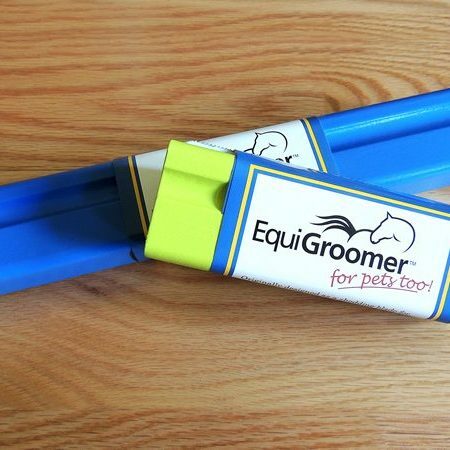 EquiGroomer – A grooming tool for horses, dogs and other pets. 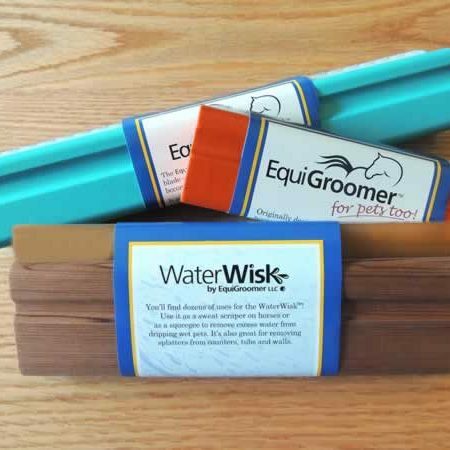 A grooming tool for horses, dogs, cats and other pets and livestock. 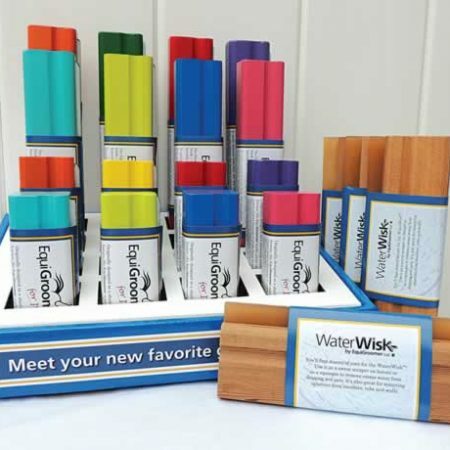 Your new favorite grooming tool! Effectively removes loose hair, dirt and dander on all parts of a horse’s body, including their legs and bellies. Your pets will love it. Guaranteed! Its unique design removes shed hair without pulling, discomfort or damage to their skin or coat. 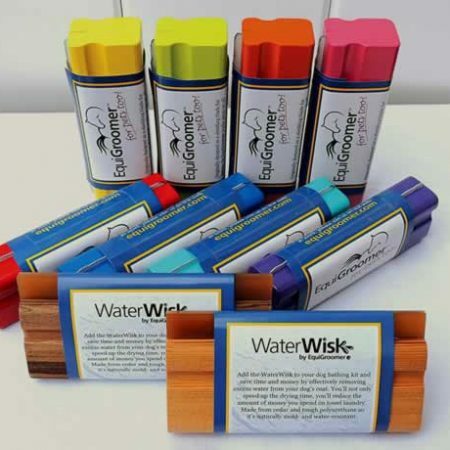 Multi-piece packages for professionals, tack stores, pet stores, and barns. Save time and mess. 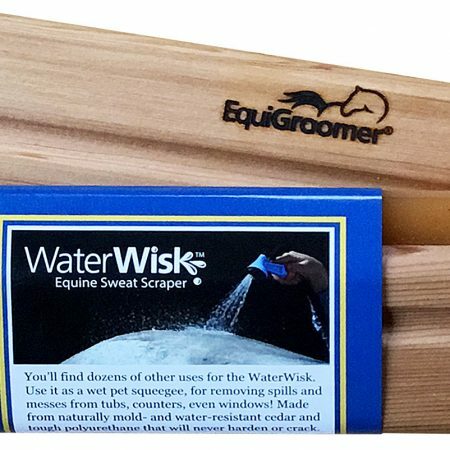 Add the WaterWisk to your horse’s bathing tool kit. 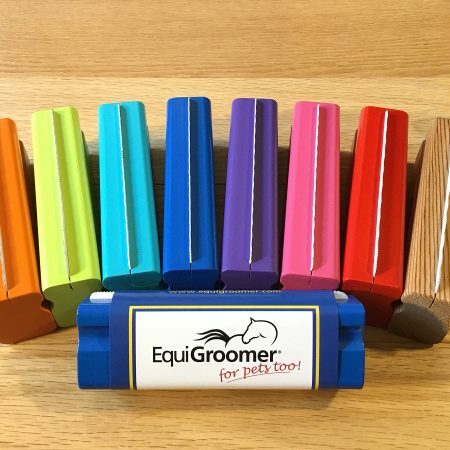 Modeled after a traditional shedding stone and originally designed for horses, the EquiGroomer is a safe, gentle and effective tool that removes dead, unwanted hair from horses, dogs, cats and any other animal that sheds. Unlike most grooming tools that work by reaching down through the coat and pulling the loose hair out from the base, tiny burrs on the teeth of the EquiGroomer’s blade grab onto the scales that form on dead, dry hair and remove only what needs to be removed. Our blade is designed to be safe no matter how much or how often you groom your pet. 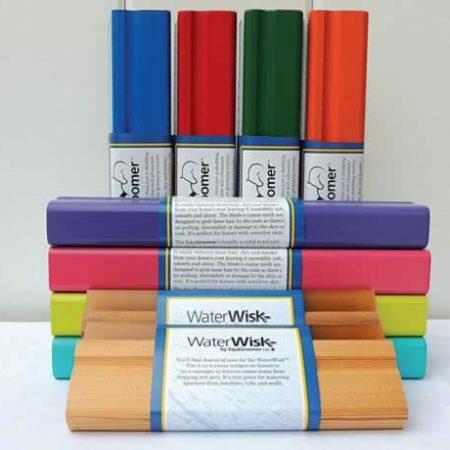 Its unique design and function will not damage the topcoat or remove any healthy hair. In fact, regular use of the EquiGroomer will result in a coat that’s shiny, smooth and soft. 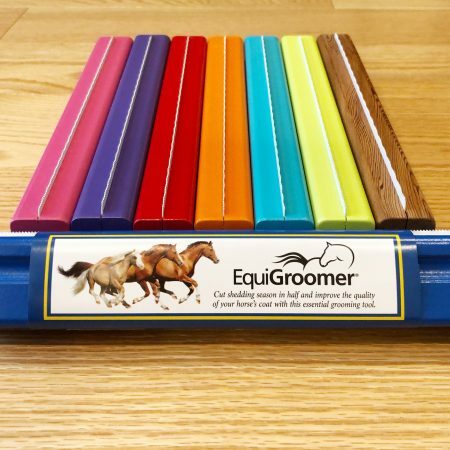 We’re proud to say that the EquiGroomer has been endorsed by countless professional groomers, handlers and breeders. 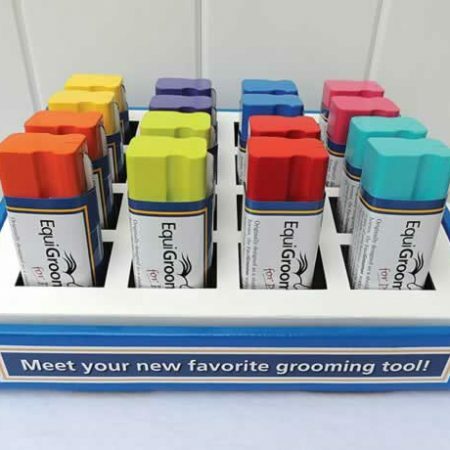 When you groom your pet with the EquiGroomer, they won’t even realize they’re being groomed! To them, it will feel more like a massage, which means you’ll be able to groom them more often, keep shedding hair at bay, and do something nice for your pet. 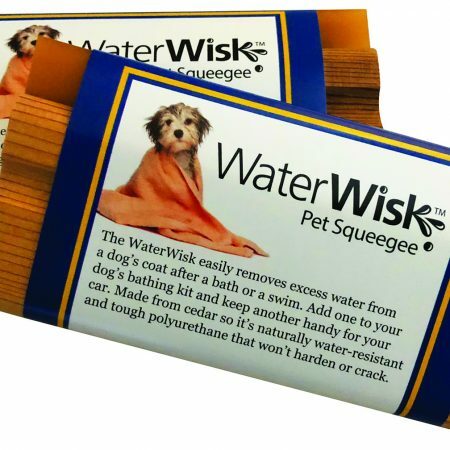 It’s even perfect for animals who have sensitive skin or don’t like being groomed. The EquiGroomer comes in two sizes, 9” and 5″. 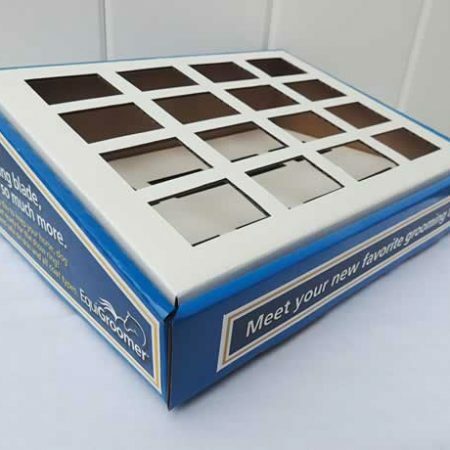 We recommend the 2-piece set for horses which includes the 9” for the larger areas and the 5” for faces and legs. The 5” groomer is perfect for most dogs, cats, rabbits and other smaller animals.